Cryptocurrencies and their underlying technology, the blockchain, are without a doubt one of the most important inventions/concepts of the past few years. Another very exciting technology that promises to become a very big part of our daily lives is called IoT, short for the Internet of Things. According to the basic principles of IoT, we may soon see a plethora of devices and daily objects connected to the Internet, not just our phones and computers. Imagine a life where your house, phone, car, fridge, toaster, shower, the light and heat systems are all interconnected via the Internet. The IoT market is expected to amass over 30 million devices by 2020. Of course, this technology exists, but it’s not yet mainstream mainly due to its complexity and high prices. Then there are also the problems of security and scalability, two aspects that are exactly what the IOTA project is trying to solve. 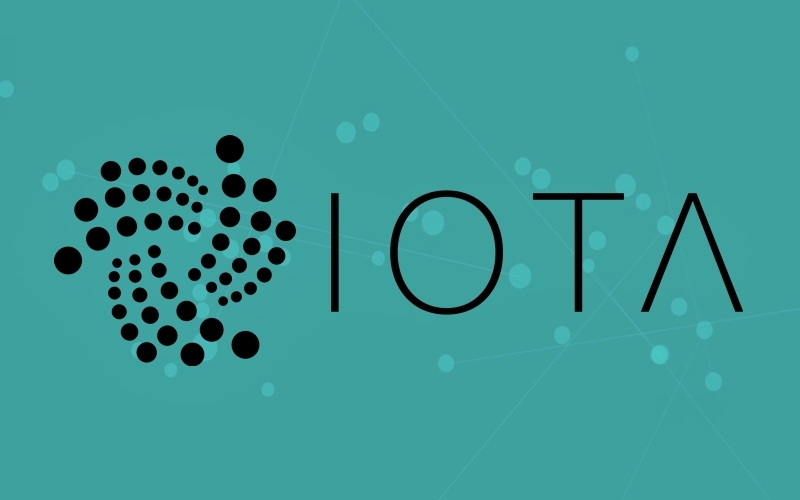 IOTA is basically an innovative public distributed ledger system that is powered by Tangle, a data structure that uses DAG (Directed Acyclic Graph). IOTA is a new-age transactional settlement and data transfer layer for the Internet of Things. IOTA’s main goal is to overcome the inefficiencies of the current blockchain designs by introducing a new way of reaching consensus in a decentralized peer-to-peer system. If you know a few things about Bitcoin, then you may know that one of its biggest limitations is its inability to scale well. Even though, as a concept, Bitcoin worked great on paper, it started showing its weaknesses for quite some while now. This translates in a limited number of payments or transactions per second, as well as in high fees. IOTA does not use blockchain technology, hence, it has no chains, no blocks, and no miners. Transactions are confirmed by at least one transaction. In short, Tangle requires two parent-transactions and, as a result, the network’s structure is represented by a direct graph which has no directed cycles. To put it as simple as possible, validation and consensus are decided by the total number of active network participants. This process is divided into three distinct steps: the signing of transactions via a private key, the unconfirmed transactions are selected using the MCMC (Markov chain Monte Carlo) algorithm, and the solving of a cryptographic puzzle for the transactions to be validated. Considering how Tangle works and how it improves upon the basic DAG technology, it’s easy to see how it sets itself as being a more efficient platform. Transactions are faster, there’s almost unlimited data growth and scalability potential, and the network is more secure. In IOTA, the transaction validation process is done without limits on the total number of transactions processed over a period, making the network highly scalable. Since there are no miners to process the transactions, the transaction fees on IOTA are practically zero. IOTA has yet another advantage over most blockchain projects, Bitcoin included. Since IOTA uses Curl, a new hash function which uses Winternitz signatures, the algorithms of the cryptocurrency are protected from quantum attacks. In short, IOTA has Quantum-immunity. Lastly, IOTA is arguably more decentralized than most blockchain platforms. As mentioned before, it doesn’t use miners. Hence, every network member wanting to make a transaction has to approve two past transactions. MIOTA token. Where to buy MIOTA? The MIOTA token acts as a currency for IoT. It can be used to make micro-transactions between various IoT devices. This fact alone makes the MIOTA token a very versatile tool that could help boost the mass adoption of the said technology. The MIOTA token is currently ranked 14th on CoinMarketCap with a market cap of $737,243,530 and a circulating supply of 2,779,539,283 MIOTA. Since it’s a popular cryptocurrency, MIOTA can be purchased from a wide array of exchanges such as Binance, Bitfinex, FCoin, Coinone, Upbit, Huobi, and OKEx. The best storage solution for newly bought MIOTA is the official Trinity wallet available on the platform’s website. IOTA is without a doubt one of the most interesting and innovative crypto projects. It is also probably one of the best investment options as the IoT tech is expected to expand its reach more and more over the following years. Not only this, but as platform IOTA seems to be better than most other blockchain projects boasting increased security, and virtually limitless scalability potential.